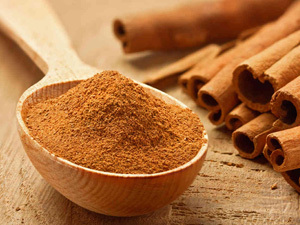 Cinnamon comes from the inner bark of the cinnamon tree, which when dried, rolls into a tubular form known as a quill. There are 2 varieties of cinnamon, Chinese and Ceylon. These cinnamon sticks are from China and are more commonly available. Cinnamon is the brownish-reddish inner bark of the cinnamon tree, which when dried, rolls into a tubular form known as a quill. There are 2 varieties of cinnamon, Chinese and Ceylon. They have a similar flavor, however the cinnamon from Ceylon is slightly sweeter, more refined and considered superior. 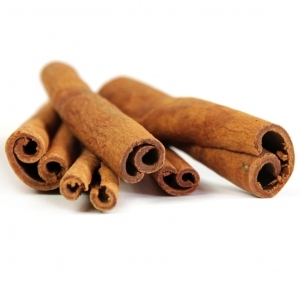 Cinnamon comes from the bark of the cinnamon tree, and has a fragrant, sweet and warm taste. Add to drinks, honey, cake recipes, delicious mixed with sugar and sprinkled on pancakes with lemon. 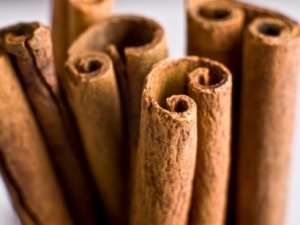 Cinnamon has a long history both as a spice and as a medicine. 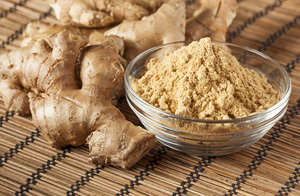 Ginger is the underground rhizome of the ginger plant and is aromatic, pungent and spicy in flavour. Ground ginger is more convenient to cook with and can be added to smoothies, marinades, salad dressings, cakes and spice bread recipes, deserts, soups and stews. Ginger pairs well with chicken, pork, ham, chocolate, fruit, ice cream, melon, onions, pumpkin, carrots, tomatoes and rice. Although the amount of gingerol (one of the ingredients that contributes to its health properties) that is reduced in ground ginger, it appears that levels of other compounds are increased, such as shogaols, which appear to have impressive medicinal benefits and may be even more potent than gingerol. Relieves nausea due to chemotherapy, motion sickness, pregnancy, and surgery. Antioxidant, anti-inflammatory and anti-tumor effects on cells. 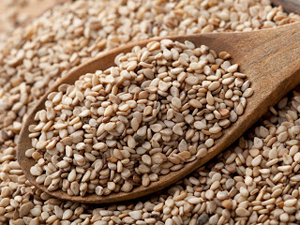 Sesame Seeds have a delicious nutty flavour and have been used in Eastern cooking for centuries. They are an excellent source of copper, manganese, calcium, magnesium, iron, phosphorus, vitamin B1, zinc, molybdenum, selenium, and dietary fiber. In addition to these important nutrients, sesame seeds contain two unique substances: sesamin and sesamolin, which have been shown to have a cholesterol-lowering effect and to prevent high blood pressure. Use as a traditional macrobiotic seasoning, gomasio, to enliven your food - mix together one part dry roasted sea salt with twelve parts dry roasted sesame seeds. Mix with other seeds to provide healthy toppings for cereals, yoghurts and salads. Turmeric comes from the root of the Curcuma plant. This spice has long been used as a powerful anti-inflammatory in both the Chinese and Indian systems of medicine. Turmeric was traditionally called "Indian saffron" because of its deep yellow-orange color and has been used throughout history as a condiment, healing remedy and textile dye. 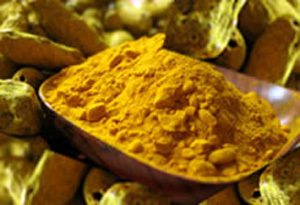 It has a peppery, warm and bitter flavor and is best known as one of the ingredients for curries, it also gives general mustard its bright yellow color. Use turmeric for delicious fish, meat or lentil curries, spice up sautéed onions, potatoes and/or cauliflower; or to flavour a creamy vegetable dip - just mix plain yogurt with a little mayonnaise and turmeric, salt and pepper to taste and serve with raw cauliflower, celery, sweet pepper, jicama and broccoli florets. 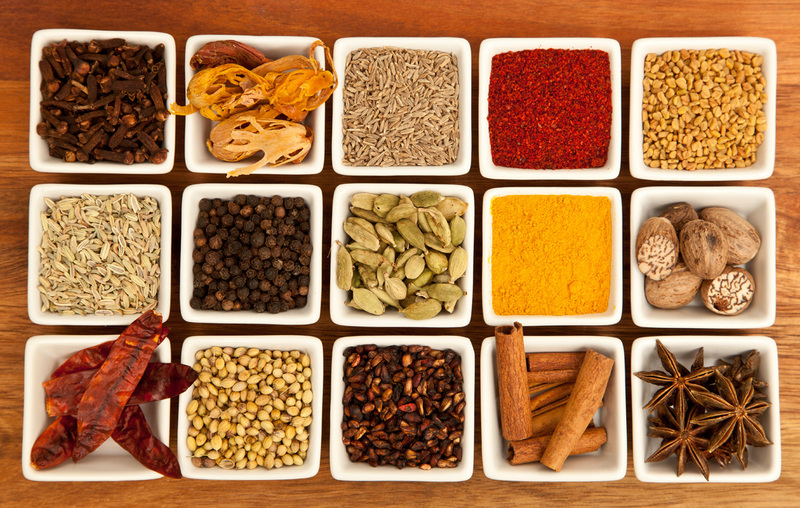 To benefit the most from the health benefits of Turmeric, always choose turmeric rather than prepared curry blends. Turmeric, or Cucumin, is a powerful anti-inflammatory and antioxidant agent that has long been used in the Chinese and Indian systems of medicine to treat a wide variety of conditions. turmeric anti-inflammatory effects have been shown to be comparable to many potent as well as over-the-counter anti-inflammatory agents however, unlike these remedies which are associated with significant toxic effects, curcumin produces no toxicity.